An oft-quoted, modern adage is that the next major global conflict will be over water. In many areas of the world the present is already marked by an uneasy competition among different water users and use sectors, often leading to conflicts. India particularly stands on the brink of an uncertain future, its ever-growing population putting pressure on its increasingly meagre water resources. 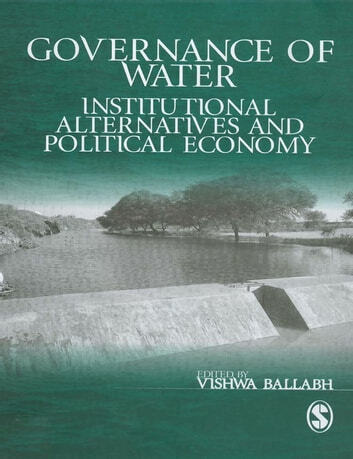 Governance of Water: Institutional Alternatives and Political Economy is a timely, relevant book that makes a case for reforming water governance in India through not only re-orientating policy priorities and approaches, but also restructuring the institutional framework away from the state and village dichotomy. The book has eminent scholars explore the issue from various angles—neo-classical and institutional economics, deliberative democracy, public administration, collective action and political economy perspectives. Divided into four sections, the 17 thought-provoking chapters in this volume contend that the challenges facing water governance in India cannot be addressed in the current policy framework. 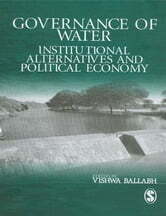 The book argues that a possible link between the larger structure of the economy and the transaction costs in water governance, as well as relations with the democratic polity as it actually functions, need to be understood clearly; the research on the transformation of water governance requires in-depth analysis to make the process more transparent, participatory and accountable to the larger society. The book makes a strong case and will contribute immensely to the study and discussion of water governance in India. It will interest environmental and agricultural economists, ecologists, policy-makers and planners and those in the development sector, as well as the media and the general reader.